Shopping is part of the fun of traveling in Japan. 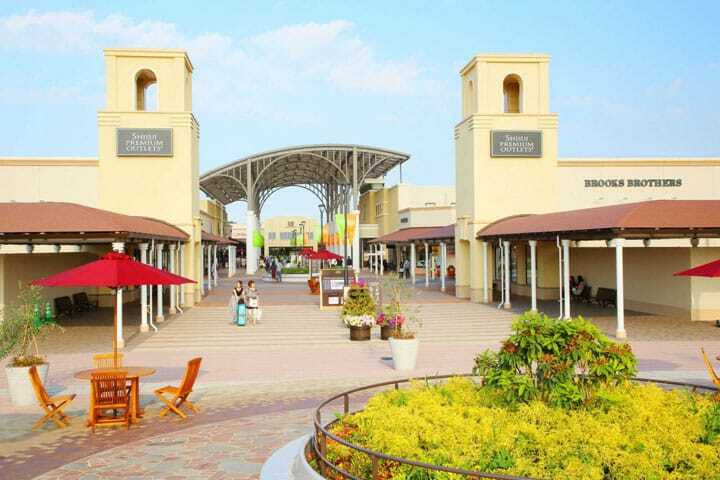 Today we'll be introducing Shisui Premium Outlets(R), a shopping spot popular among visitors to Japan. Shopping is part of the fun of traveling in Japan. Especially shopping at outlets where you can purchase designer goods for reasonable prices. Shisui Premium Outlets(R) is a popular shopping located 50 minutes from Tokyo station by nonstop bus, and 15 minutes by a nonstop bus from the entrance-way to Japan, Narita Airport. Today we'll be looking into what makes Shisui Premium Outlets(R) so popular. Why is it Popular Among Visitors? Shisui Premium Outlets(R) is popular among people both from Japan and abroad, but there many reasons for it being especially loved by visitors from outside of Japan. To start with there is a currency exchange center by Keiyō Bank, and UnionPay available in all buildings. A tax-free customs counter has been newly opened, with staff who can speak English and Chinese. At designated shops, purchases over 5001 yen for food products and cosmetics, and over 10,000 for other shops (per 1 store) are tax-free, so visitors from abroad will be able to enjoy an even better deal than the original outlet price. The facility is an American Art Deco style designed after the townscape of the birthplace of outlet malls: America. You can enjoy a resort-like shopping spree while traveling Japan. Now we'll introduce some of the shops especially popular with Japan-visitors. LE CREUSET is a cookware brand with a retro feel, born in 1925 in a small village in northern France. It's been loved over the decades for its practicality, ability to preserve the original taste of ingredients, and its beautiful designs, which can be cooked on and then placed right on the table. Rare products with limited colors and various designs can always be found here. You will be unable to decide which to buy because of the many designs and colors. The most popular product with visitors from abroad is the standard pot and tableware package. Just having one in your home makes your kitchen feel more picturesque. You should consider getting something at LE CREUSET for a reasonable package deal price. GAP is an American fashion brand that boasts approximately 4000 stores around the globe. From babies to adults, there are designs for all ages. GAP brings in new styles depending on the times, but still keeps its basic designs, which is what makes it popular. The logo hoodie is a great fashion item, known for having a comfortable feel. Just slip one on and the GAP logo attracts attention. It's a popular item for almost everyone. You can choose from various colors, and they'll make a great souvenir for yourself and for others. There are 180 shops at Shisui Premium Outlets(R). There are cafes and spots for dessert to rest between shopping, as well as restaurants and a food court. Once you've arrived we recommend you get a map of the place (available in English, Chinese, Korean, and Thai) and plan your way around the shops you want to see. You should also stop by the Information Center and present your passport to receive coupons and access to Wi-Fi. How about adding Shisui Premium Outlets(R) to your shopping plans in Japan? Access: Direct Bus available from Tokyo station, Narita Airport, Kaihin Makuhari station, 5 hotels in Makuhari area, and Hotel Nikko Narita. 20 minutes by regular bus (Japanese) from Keisei Shisui station or JR Shisui station. Religion: Food labels for religion and allergies at some shops. Prayer room available. Sightseeing Near Narita Airport - Strawberry Picking, Shopping And More! VenusFort In Odaiba, Where Sightseeing Meets Shopping! Recommended Places In Odaiba - A Trip For The Whole Family!